30 years of business for your dirt and gravel needs, so you can be confident in the quality of the product and service. 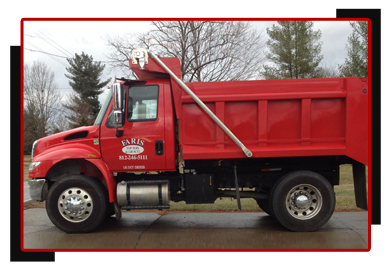 Why Choose Faris Dirt & Gravel? Count on us to provide you with the material you need for the job. We have top soil, fill dirt, driveway gravel, all types of mulches, sands, and landscaping materials.